2017 Brings Ribs Within Bacon to Your Door! That’s Right! Ribs Within Bacon Delivered to your Door! Award Winning Ribs Within Bacon is now available through this website! Ribs Within got off to a great start in 2016 with top 10 in the first 3 KCBS competitions, including a 3rd and a 4th overall. Solid scores in all categories let to multiple top 10s and a top 5 in every category, lead by a 1st place pork in the mud at Green Lane, PA.
Just like that, the abbreviated 2015 BBQ and cooking season has ended! Cut short by back surgery, an accident, and the related rehab, 2015 was a year of trying new things and learning how to do them. Also, for a man with a bad back, I sure did a lot of traveling. 2015 has been all about the Back, the Back, the Back. Back surgery in mid-February stopped all cooking until July. Wildwood, NJ was our first cook, and we scored 2 top 10s including 3rd in Chicken and 11th overall. November 11, 2014 – Ribs Within Wins 2nd place overall – Reserve Champion – in the World Food Championship, Las Vegas, NV…is seamed so surreal. What a turn of events in under 8 weeks. It wasn’t easy, but it sure was fun. The American Royal 2013 was indeed a dream come true. Two calls, 10th in Ribs at the Invitational, 12th in Brisket in the Open. It was an awesome experience, a long time in the making. 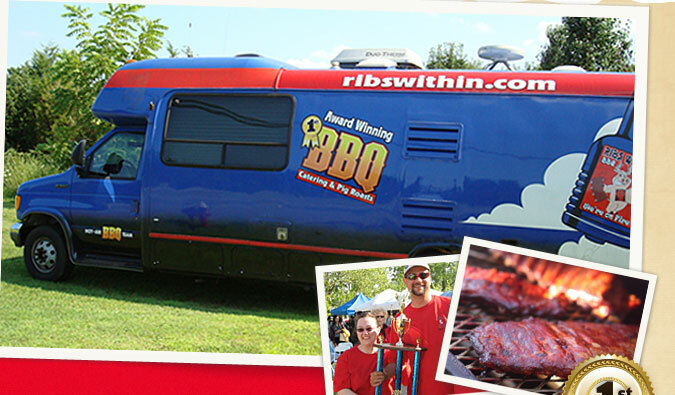 After a slow start to the 2013 season, Ribs Within is rockin’ once again. With 3 top 5 in the last 3 contests, including a Reserve Grand Champ, we are heating up with the weather. Ribs Within had a crazy month of September! Coming on the heels of my food fest vacation in Vancouver, BC, we immediately started our Destination BBQ Tour of the USA – 4 events in 4 states in 4 weeks.